How many FilterMags do you need on each filter? The FilterMags installed on your filters have the extremely high magnetic power necessary to attract tiny particles moving in fluids with high flow rates. The particle size and dwell time determine how many FilterMags are needed to be effective in protecting your equipment. Engine oil recirculates through filters presenting a continuous opportunity for Filtermag to capture particles. 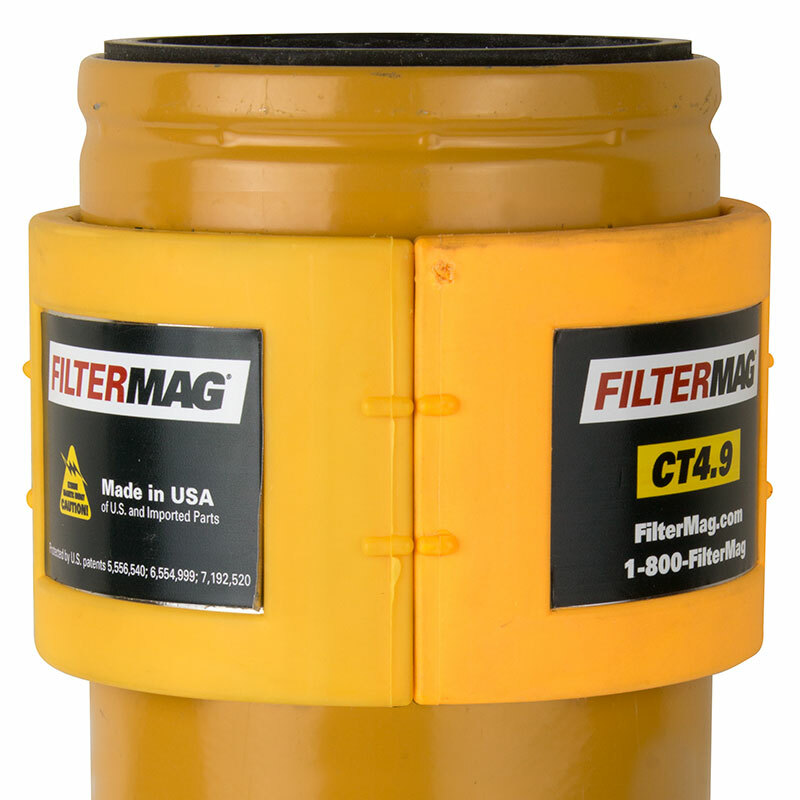 Two FilterMags expose all of the recirculating oil to FilterMag’s magnetic fields. Hydraulic systems have high-tolerance finished mechanical surfaces. Therefore the wear particles generated are smaller than what is found in engine oil. The smaller the particles, the more difficult it is to attract them from the flowing oil. 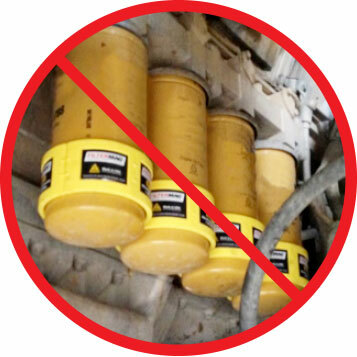 Additional FilterMags are needed to increase the particle dwell time. 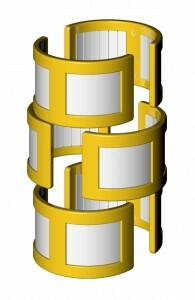 Install in stacked rings near the threaded end of the spin-on filter or filter canister. Fuel passes through a fuel filter only one time. Therefore in order to capture the maximum number of particles, it is important to create the largest magnetic field possible. Installing four, six, or more optimizes FilterMag’s effectiveness on fuel filtration. 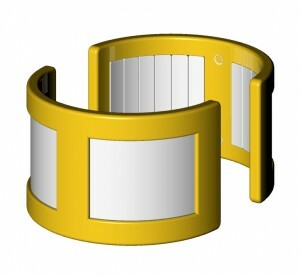 FilterMags are designed to fit a range of filter diameters. 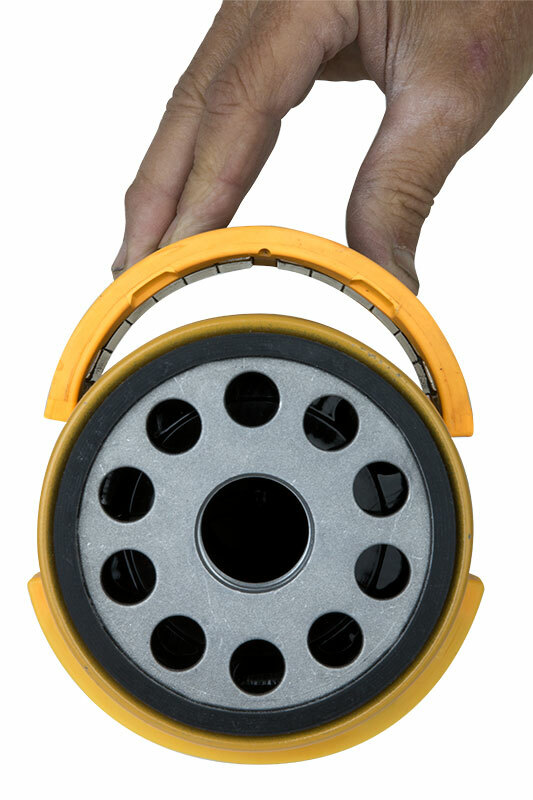 To specify the correct FilterMag, the diameter of the filter must be measured. There are two ways to determine the diameter. 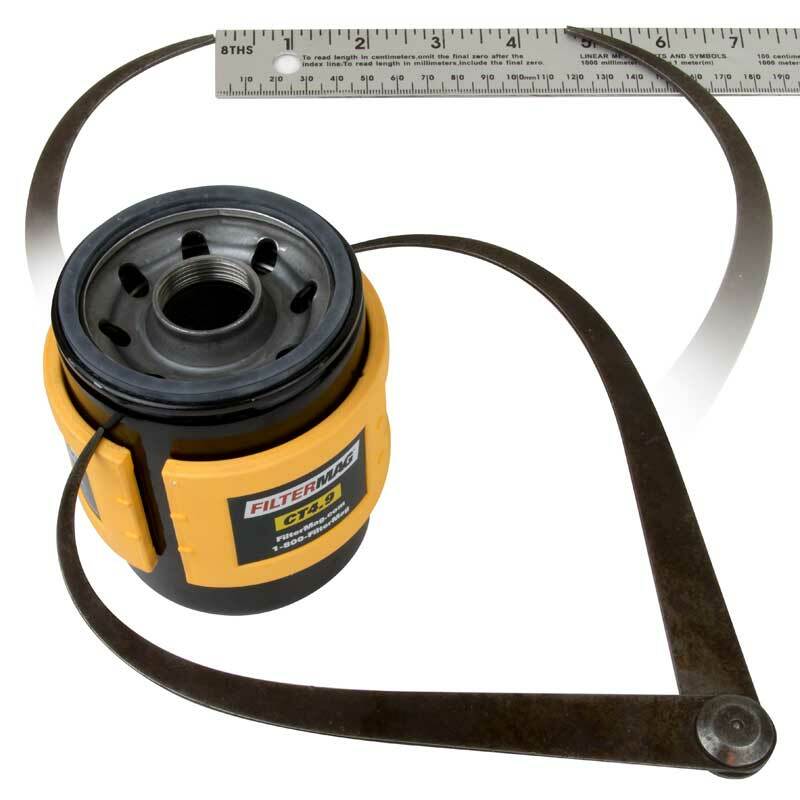 Measure the diameter of the filter with calipers, or measure the circumference of the filter with a flexible tape. 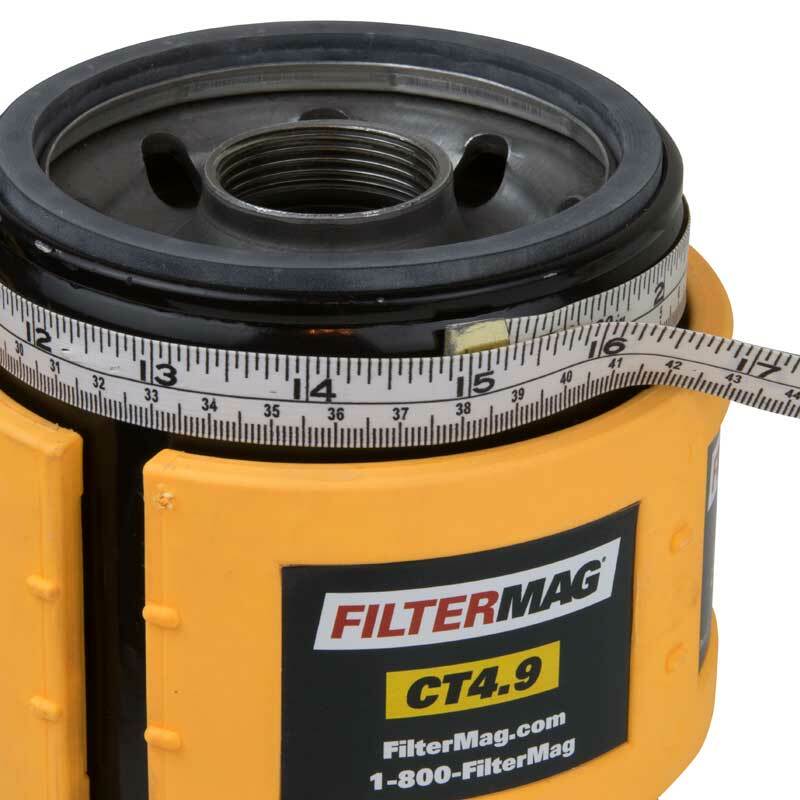 Using calipers, measure the distance across the filter to determine the diameter. Measure the circumference of the filter. To determine the diameter, divide the circumference by 3.14159 or use the chart. Do the FilterMags appear too small? 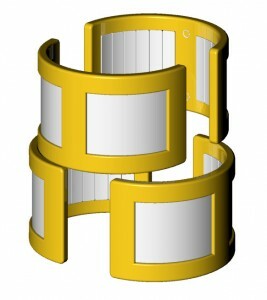 FilterMag CTs are designed to flex over a range of filter diameters. Installing CT3.8s to this filter requires a slight push forcing the CT3.8s to flex and snap securely to the filter. Refer to How to Measure the Filter Diameter in this section. Push the FilterMag to cause it to flex and snap securely to the filter. 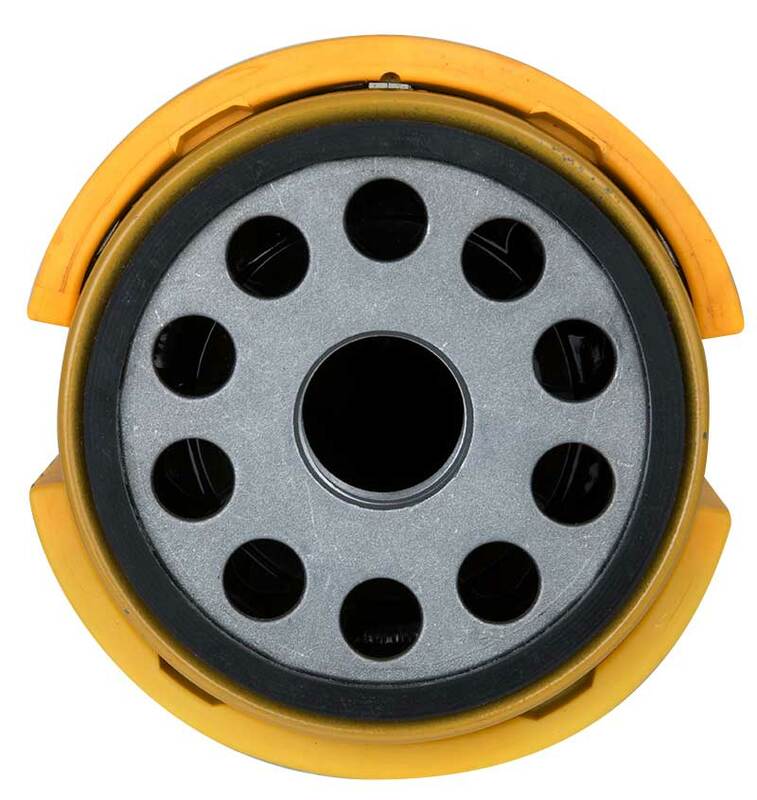 Proper installation will result in a gap between the ends of the two FilterMags. Are they are too large? Although this looks like a good fit, it’s not. This filter diameter is 4.4”. CT4.9s require a minimum diameter of 4.5”. That 0.1” in diameter difference prevents the FilterMags from making complete contact to the outside wall of the oil filter. An obvious indicator that the FilterMags are too large for the filter is when two FilterMags are butting against each other, creating a diameter larger than the filter. This creates a gap between the FilterMags and the filter. This 0.1” gap is very significant. It will severely limit the FilterMag’s effectiveness, and reduce the magnetic bond securing the FilterMags to the filter. There should be a gap between the ends of the two FilterMags. These FilterMags are too large for the filter. These FilterMags are not making complete contact with the filter.The resulting gap will severely limit their performance. FilterMags should be installed close to the top of the filter. 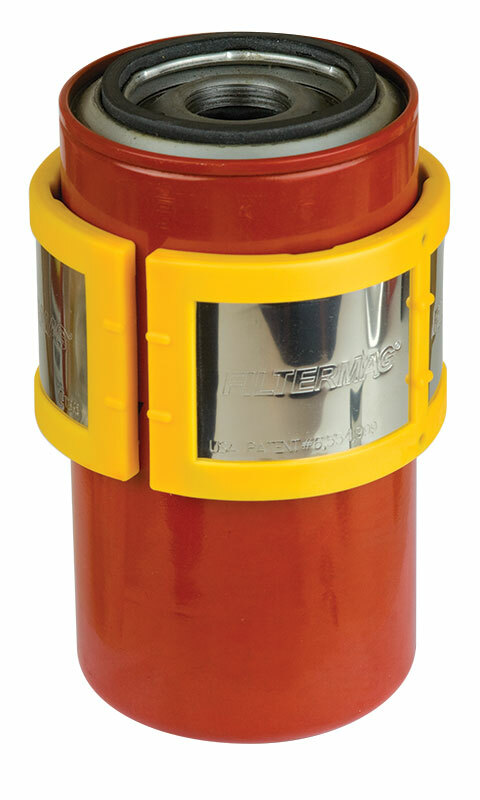 Install FilterMags approximately 1” below the threaded end of the oil filter. 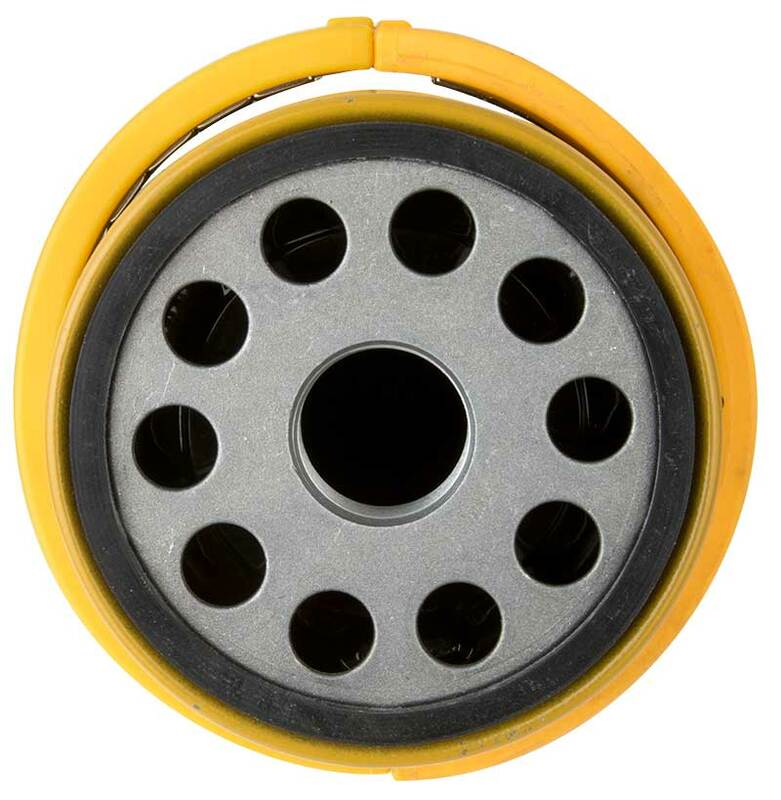 This ensures all oil flowing into the filter will be exposed to FilterMag’s magnetic force as it enters the filter. All of the CT4.9s in this photo are incorrectly installed at the bottom of each filter. Much of the oil entering and exiting the filter will have limited exposure to the magnetic filtration, greatly reducing efficacy. © 2016 FilterMag International, Inc.